Super easy, make ahead (AKA stress free!) Bacon Ranch Cheese Ball takes just minutes to whip up and is always a total show stopping appetizer! 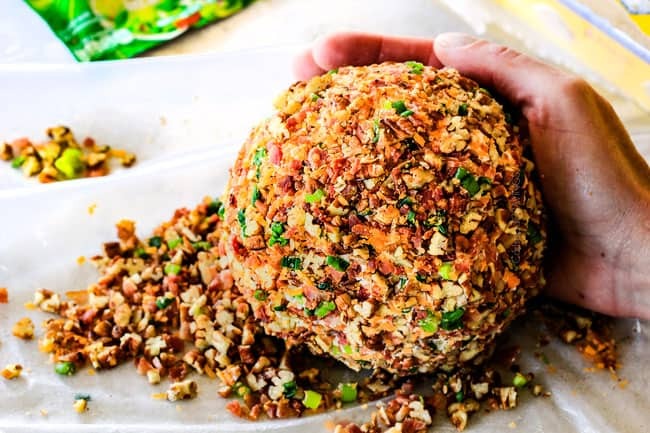 This supercharged Bacon Ranch Cheese Ball recipe is not only loaded with bacon and cheese but COATED in bacon, cheese, green onions and pecans for can’t-stop-eating-partaaaaaaaaaaaaay-deliciousness! To me, every good party needs an amazing cheese ball or log. 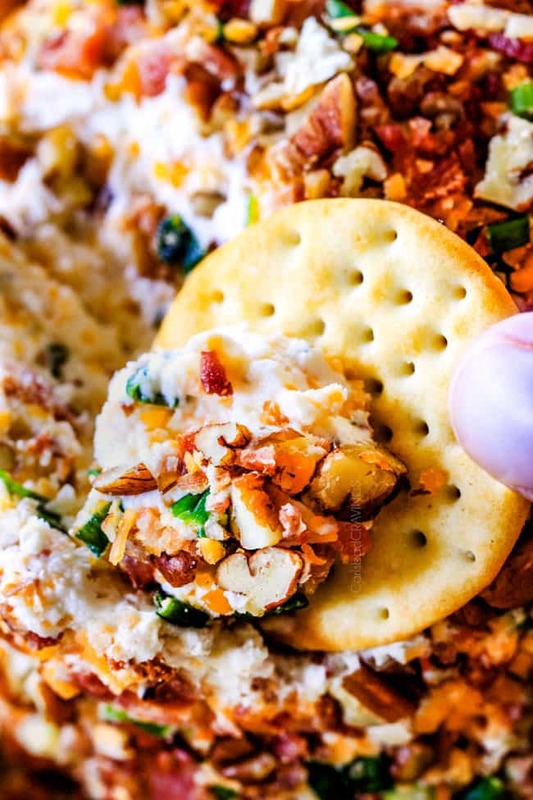 They are the the ideal cracker spread because it’s basically loaded cheese bursting with flavorful ingredients (just when you didn’t think cheese could get any better) and looks absolutely beautiful. So far I’ve made Bruschetta Cheese Ball, Cranberry Pistachio Cheese Log and Garlic Herb Cheese Log. They have all been runaway hits so I decided the holidays need a cheese ball every year. I need a cheese ball every year. So if you answer yes to the following questions, I’ve found you the perfect cheese ball recipe! Me too! 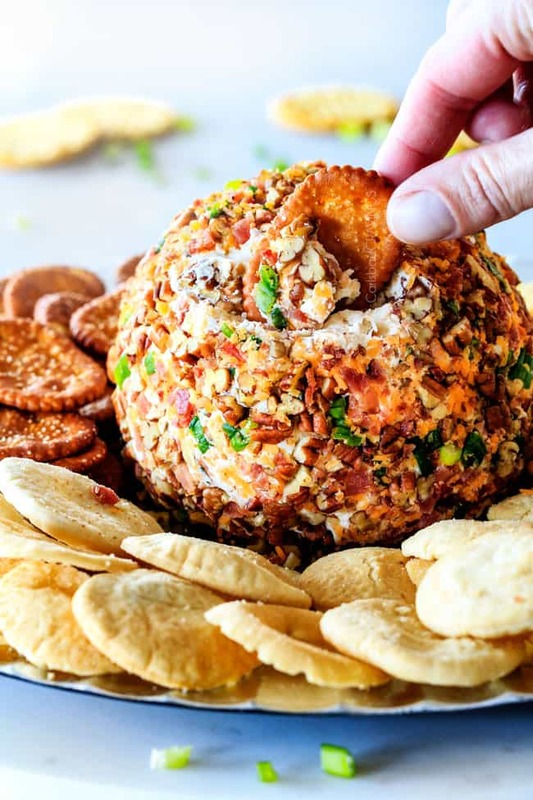 And so does everyone at your next party and they will love YOU for uniting them with their three loves once more with this Bacon Ranch Cheese Ball! This Bacon Ranch Cheese Ball comes together very quickly. 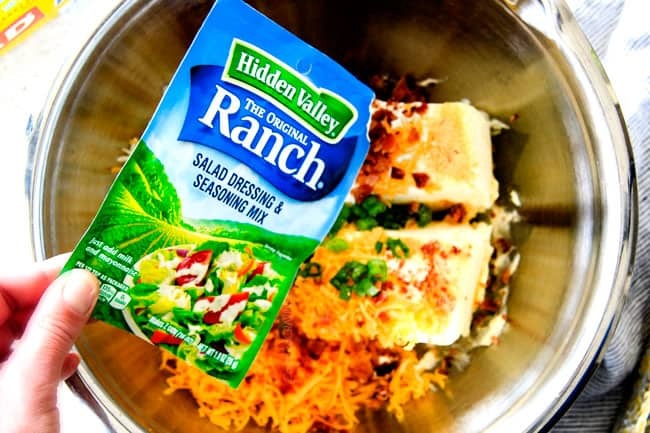 First, add cream cheese, sour cream, garlic powder, pepper Jack cheese, sharp cheddar, bacon, green onions and 1 package Hidden Valley® Original Ranch® Salad Dressing & Seasoning Mix to a large bowl – and mix to combine – hello flaaaaaavor! If you aren’t familiar with Hidden Valley seasoning and dip mixes, they are awesome! They add bold ranch flavor to anything you heart desires from popcorn to veggies to any dip or appetizer. I love that you can infuse anything with delicious ranch flavor without having to add any caloric ranch dressing! I buy everything Hidden Valley at my local super Walmart which makes shopping easy with everything I need all in one place! Hidden Valley Original Ranch Seasoning Mix is located in the dressing aisle, next to the dry mixes. Next, we drop the mixture onto a large piece of plastic wrap, cover tightly, and shape into a ball. 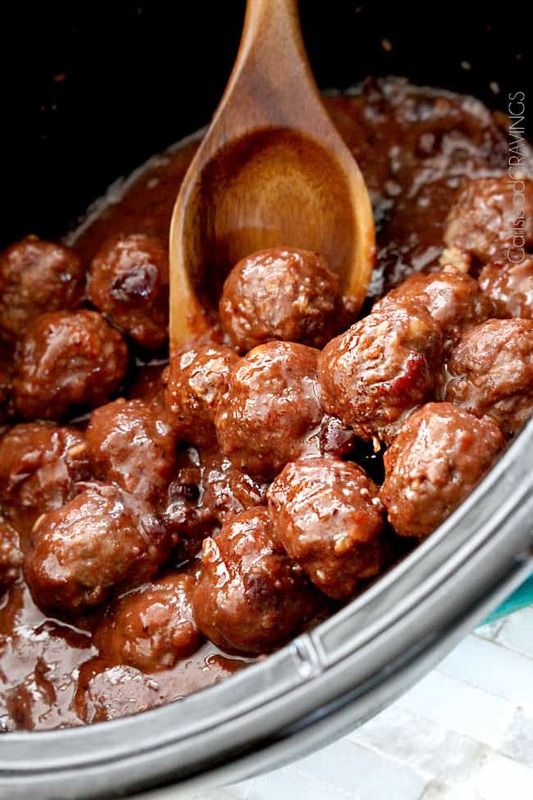 Don’t worry about the shape being perfect – you can refine it later when you coat the cheese ball. For the plastic wrap, I use Glad® Press’n Seal. This has always been my (and my husband’s!) favorite plastic wrap. 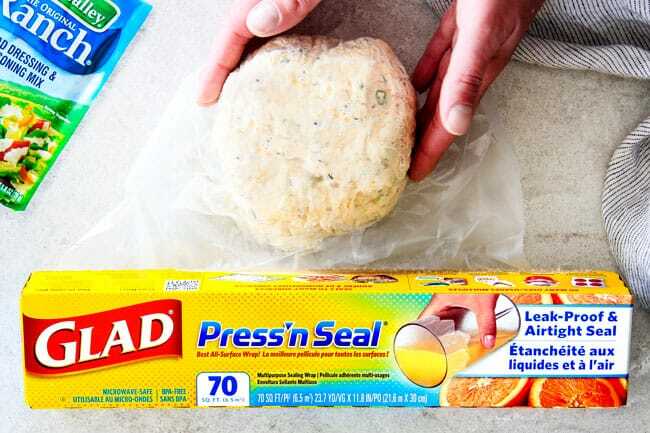 Unlike many plastic wraps, the Glad Press’n Seal actually sticks and seals tightly on a variety of surfaces including paper, plastic, metal and wood – without having to use layers and layers of wrap. It’s also BPA-free safe to use in the microwave! Next, we place our Bacon Ranch Cheese Ball in the refrigerator for 1-2 hours to harden up a bit. The amount of time really depends on how soft your cream cheese was to start with. 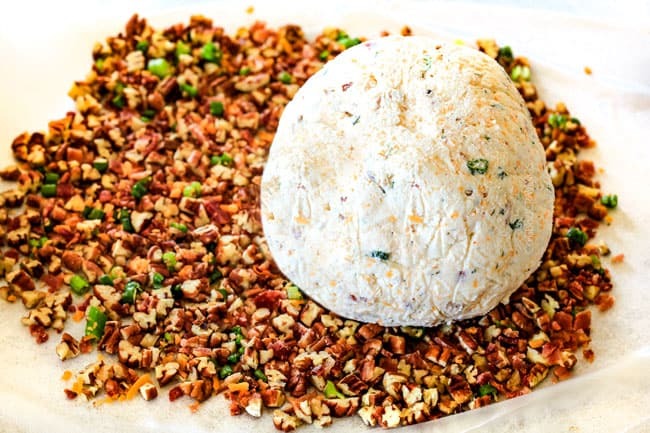 Once the cheese ball is firm enough to roll in the Coating, you can either roll it right away if you are serving it within a few hours OR you can leave it in the refrigerator until the next day and then Coat it – totally up to you and your schedule. …to create the ultimate layered flavor and textural bliss – nutty, crunchy on the outside, tangy and creamy on the inside and absolutely delicious all over. 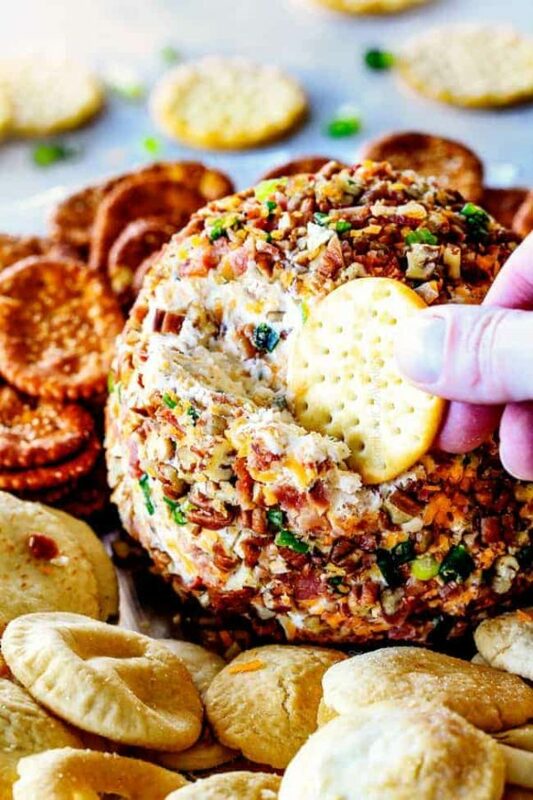 Bacon Ranch Cheese Ball – quite possibly the world’s best party food. 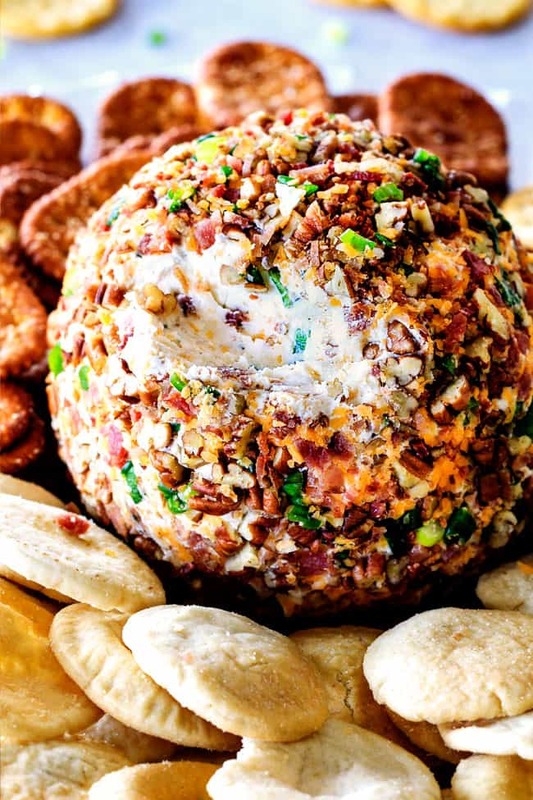 Want to try this Bacon Ranch Cheese Ball? Pin it to your APPETIZER, PARTY or HOLIDAY Board to SAVE for later! Super easy, make ahead (AKA stress free!) Bacon Ranch Cheese Ball takes just minutes to whip up and is always a total show stopping appetizer! 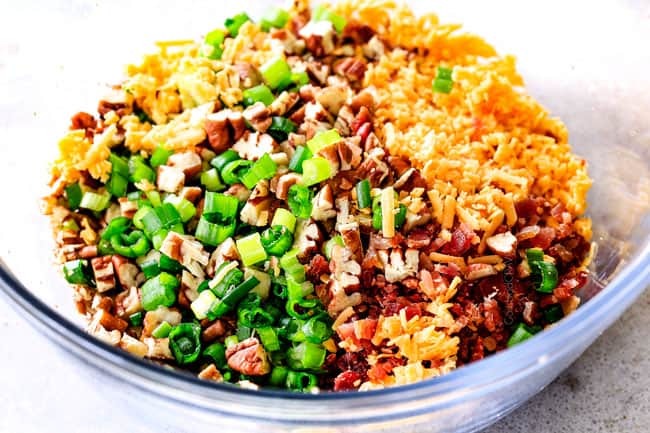 It’s not only loaded with bacon and cheese but COATED in bacon, cheese, green onions and pecans for can’t-stop-eating-partaaaaaaaaaaaaay-deliciousness! If you have leftover cheese ball, try adding it to scrambled eggs - soooo goood! It is exactly what I was looking to serve with my Christmas day lunch. But with all the things happening that day, I would like to make it ahead of time and freeze. Yes! It is perfect to make ahead and freeze! Enjoy! This was an excellent cheeseball! It was a big hit at our Christmas and others plan to make it themselves. You are so welcome Suz, I’m so happy it was a hit! Merry Christmas! I love hearing that, thanks Lisa! I made this recipe last week as the recommendation of a friend who saw the recipe on your site. It was absolutely delicious – didn’t change a thing! Awesome, I’m so happy it was a hit! Thank you!! YAY! I’m so happy you all loved the Cheese Ball so much and I’m honored you are enjoying my recipes! I hope you love the new ones you’re trying just as much! I live in Canada and our local grocery store has the option of plain Monterey Jack Cheese, Habanero Monterey Jack Cheese or Monterey Jack Jalapeno cheese – which might you suggest for this recipe instead of PepperJack? Hi Steph, I would go with the Monterrey Jack Jalapeno. Enjoy! Great thank you for the recommendation! Also, it looks like we don’t have the hidden valley ranch package either 🙁 what substitutes would you recommend? If you google “homemade ranch seasoning packet” then there are some good options. You will want 2 tablespoons of the homemade mix. Enjoy! Stephanie, Club House makes a ranch dressing & dip package that you can get up here instead of Hidden Valley. Love the cheese ball recipes! Thank you, me too! It doesn’t get much better! We have some family members with nut allergies. What could we substitute for the pecans? What are the puffy cracker things on the plate with the cheese ball? Hi Jo, I don’t remember the brand, but they are some sort of puffed cracker. Thank you! I think you will love it! We love cheeseballs! But don’t particularly care for Nuts. I was thinking, if you crush pretzels it would hold the form and work? Hi Tammy, I think pretzels would normally be a good idea except I that they might make the cheese ball too salty because the ranch mix is a bit salty. If you use pretzels, I would consider reducing the ranch seasoning mix or better yet, if you can find unsalted pretzels then those would be great. AWESOME! 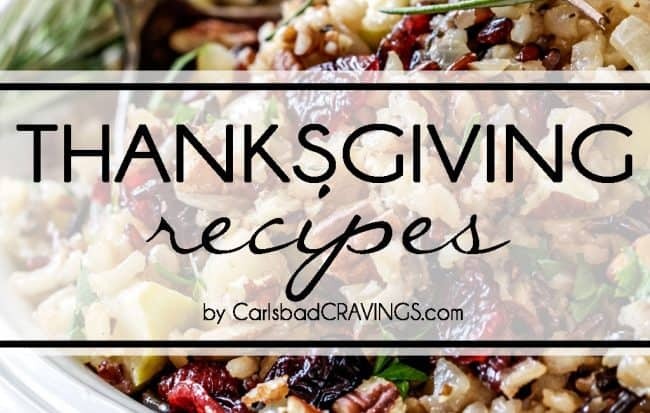 You have some amazing recipes – so glad I found you. Thanks again, now I am making a cake and an appetizer for the Super Bowl Party. I’m so glad you found my page too, welcome! Happy Game Day with lots of great food!